The Range Rover has long been seen as the pinnacle of 4x4 excellence, both in off-road capability and luxury. 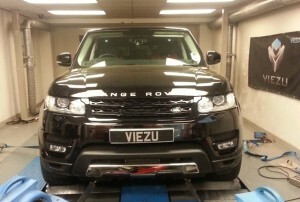 However, the brand new Range Rover has raised the bar even higher. 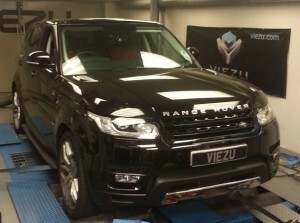 Viezu Technologies has stepped in to raise this bar even further. Being the first tuning company in Europe to build and develop a brand new custom ecu remap or software calibration on this vehicle! As with all development work, before we tune the software we have to collect data and benchmark the vehicle in order to understand what the vehicle is doing in standard trim. With the car strapped to the dyno we collect the stock data from the vehicles ECU along with benchmarked data such as the horsepower and torque out of the vehicle at the wheels. 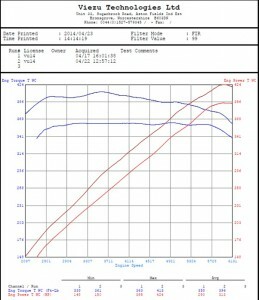 With the data collected from the Mustang MD 500-AWD, we were able to analyse the ecu software against the physical power and torque output of the engine to identify the key areas of improvement. With all large capacity v8 the gains are always going to be smooth and progressive. This is important as it maintains the characteristics of the vehicle that the manufacturer originally designed and marketed the vehicle to have. However, the torque output of the vehicle is very strong from very low down in the rpm band an pulls hard through the midrange and finally up to the max rpm. But, the torque output in stock ecu calibration is very flat and linear. It is smooth, of this there is no question, but the vehicle sometimes felt a little ordinary for our liking. The new Viezu Remapped ECU calibration, tuned the torque of deliver a stronger mountain like wall of torque in the midrange, transforming this Range Rover Sport into a supercharged animal. The new Viezu tune develops up to 40 additional bhp and 50 ftlbs of torque increase (or 67 NM of torque for those on the metric system). The delivery is smooth and progressive still, but the Viezu remap transforms the way the vehicle drives and accelerates in such a way that the car feels like it is constantly pulling stronger through the rpm band, instead of one constant seemingly flat acceleration curve in stock form. This remap is a must for anyone who owns one of the new production Range Rovers Remember though, this is the same engine in the brand new Jaguar's, including the F-Type 5.0sc. The same is available to all of you who drive these vehicles also gains of up to 40hp can be achieved on these vehicles. 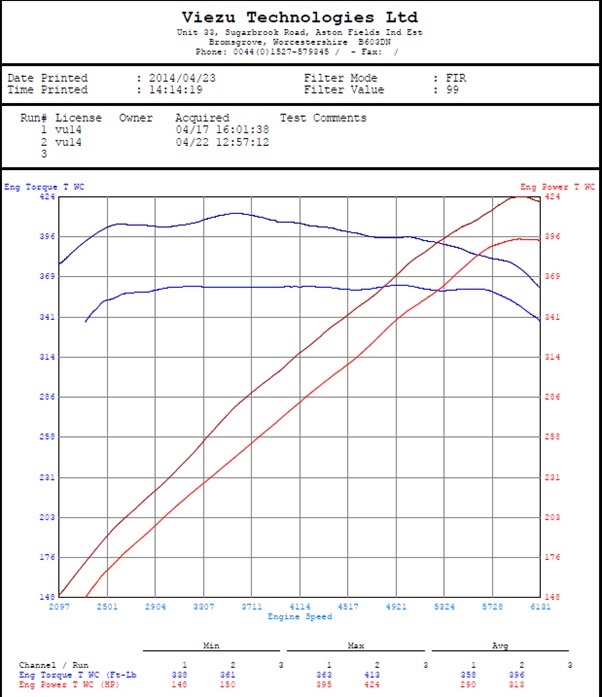 The example below was of a customer who wanted approximately 30hp gain maximum, but all of the torque he could achieve.